Regular Instant Coffee half the Caffeine . 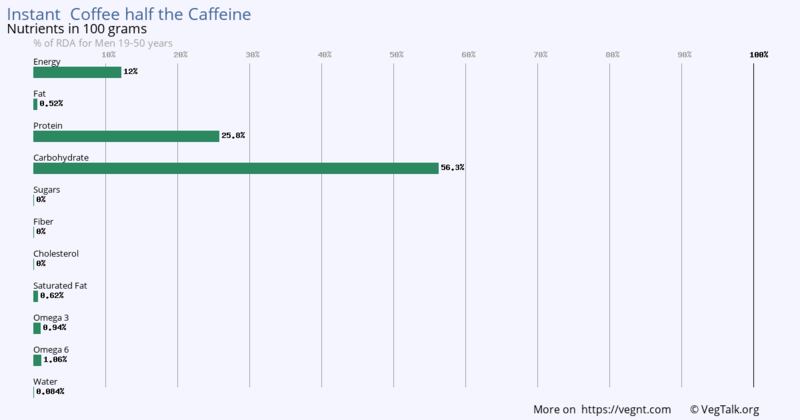 100 grams of Instant Coffee half the Caffeine has outstanding amounts of Vitamin B3. 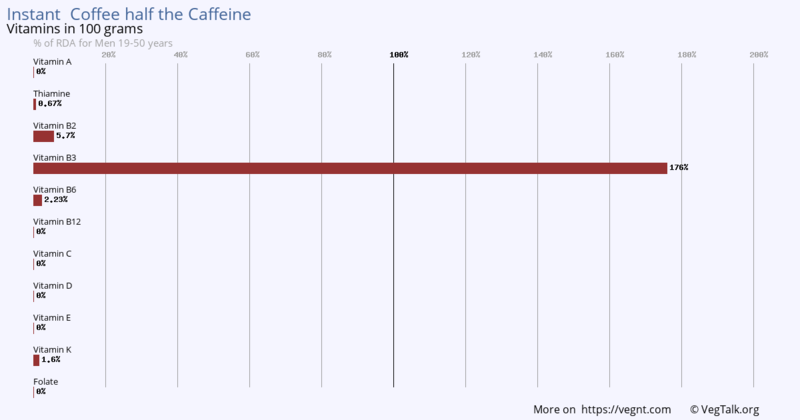 100 grams of Instant Coffee half the Caffeine has outstanding amounts of Magnesium. 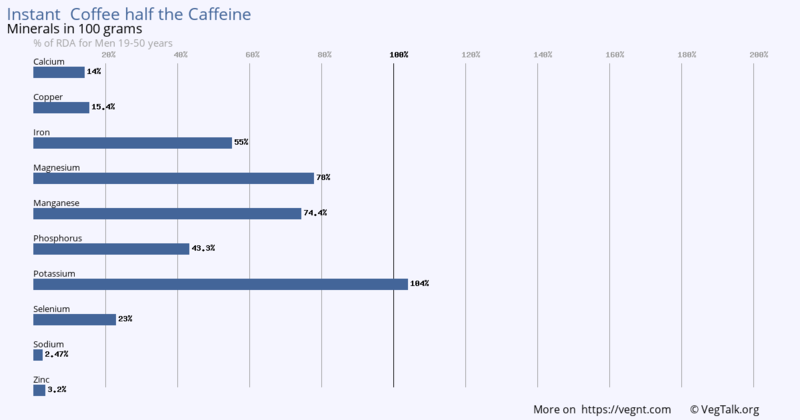 100 grams of Instant Coffee half the Caffeine is an excellent source of Protein and Carbohydrate. While 100 grams of product has trace amounts of Omega 3 and Omega 6, it has no Fat, Sugars, Fiber and Saturated Fat.